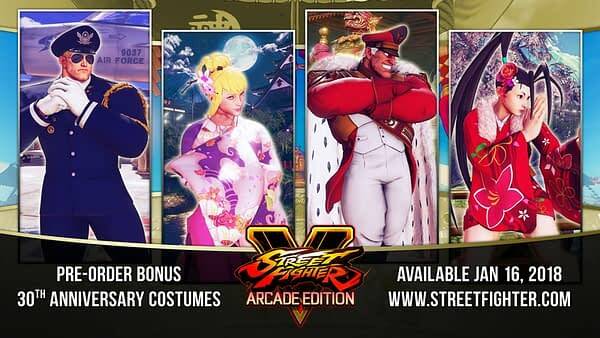 Along with revamping Street Fighter V with the Arcade Edition out next week, Capcom will also let players check out Sakura, the newest character to hit the game roster. To get players acclimated to the new features and foster a little good will, Capcom is letting players try her out free of charge during Arcade Edition‘s launch week. 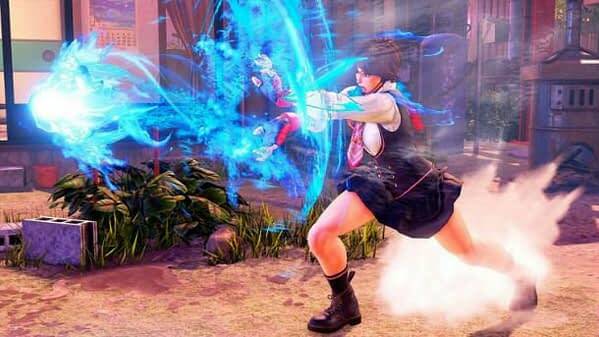 Street Fighter fans should be familiar with Sakura as she’s the series’ resident schoolgirl. 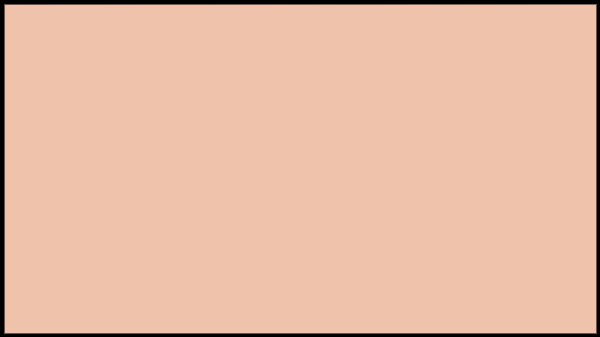 But in Street Fighter V, Sakura has graduated high school and now sports a more mature look that reflects her current job in an arcade. And she looks like she can sure pack a punch. From January 16th to 23th, anyone who downloads the free Arcade Edition update will be able to use to character across all modes. 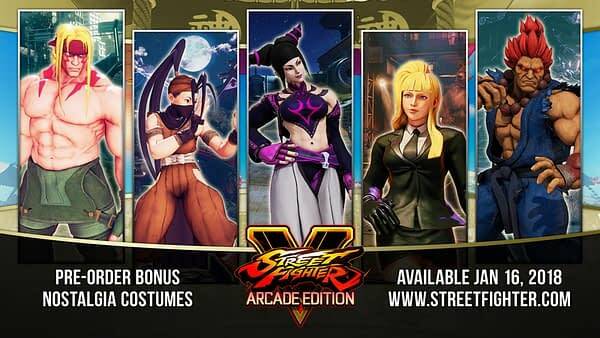 Players will be able to earn fight money (SFV‘s in-game currency) using Sakura, though it will all disappear once the free period is over unless players choose to purchase her with fight money or by buying the Season 3 character pass. If you pick up the pass, you’ll get all six new characters as they’re released, while also receiving their unlocked Battle Costumes with colors 3-10 and default costume colors 3-10. In addition, if you purchase the Season 3 Character Pass in North America between 1/16 and 1/30, you’ll receive the nine bonus costumes below as an added gift. If you’re not sure what to do with the Arcade Edition next week, the PlayStation Blog has some ideas.